Quick & Easy to Sew Reversible Apron Pattern. 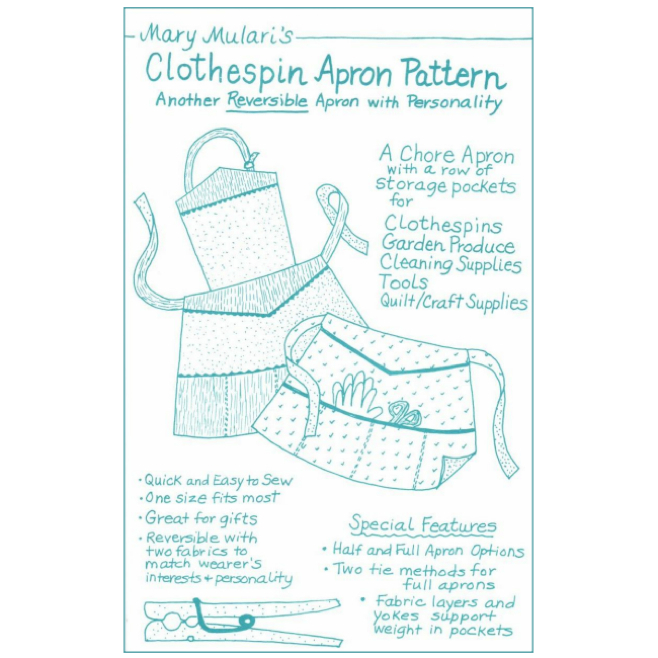 Mary Mulari's Clothespin Apron Pattern is a reversible apron with personality! 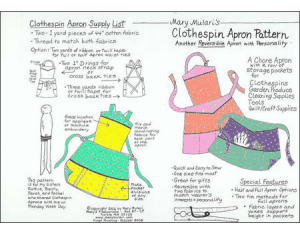 Quick & easy to sew apron pattern with half and full apron options. This popular chore apron includes a row of storage pockets, useful for storing clothespins, sewing & craft supplies, tools and more! Apron pattern is one size fits most. Includes full size pattern pieces.